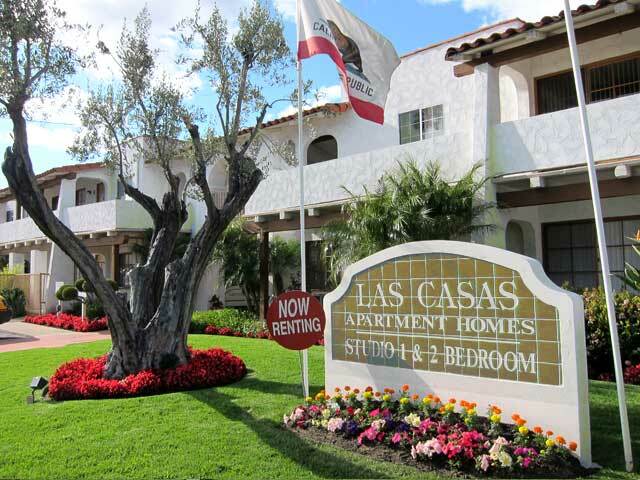 Come home to Las Casas Apartments where you will enjoy the benefits of a picturesque community with many fine amenities. Nestled in a quiet cul-de-sac. Las Casas offers a secluded atmosphere for peaceful living. Relax in this beautifully landscaped community and experience the California lifestyle. Enjoy the unique blend of resort-style amenities that can only be found at Las Casas. Exercise in our fully equipped fitness center and then unwind in our relaxing sauna. You may tan beside the sparkling pool or socialize in the picnic area. Exceptional amenities, spacious Floorplans, quality features, and a superb location make Las Casas Apartment Homes the perfect place to live. Address : 15491 Pasadena Ave.